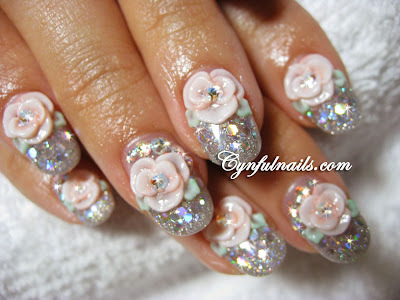 Cynful Nails: Bridal gel nails. Very pretty. Love the bows. All your manicures are wonderful and amazing. 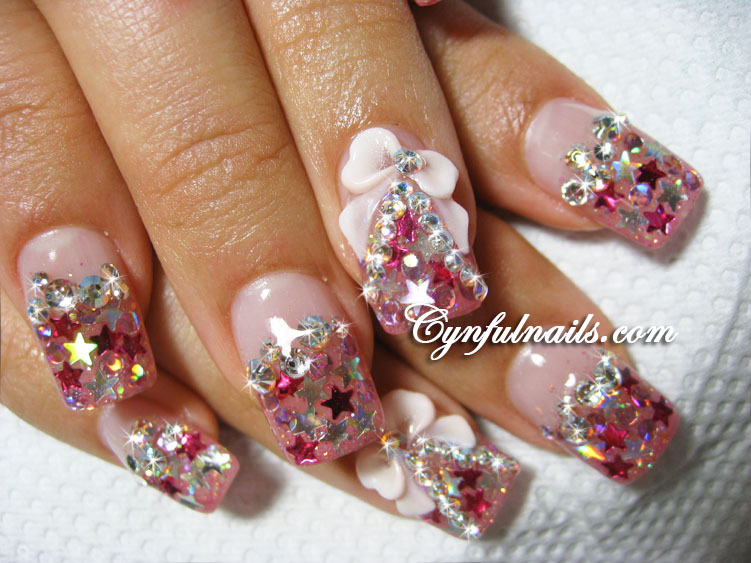 I wish I had your super bling lah mani on my nails right now! So pretty. And those little star shaped reflections add such a nice touch to the photo.